The No. 6 Oklahoma Sooners escaped their annual Bedlam showdown against Oklahoma State with a 48-47 win at Gaylord Family Oklahoma Memorial Stadium on Saturday afternoon. 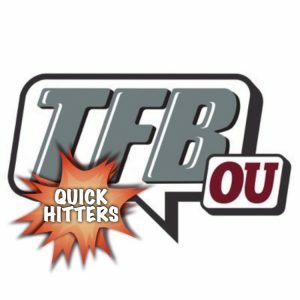 Sooners quarterback Kyler Murray finished 21-of-29 for 349 yards and a touchdown, and he added 14 carries for 66 yards on the ground. 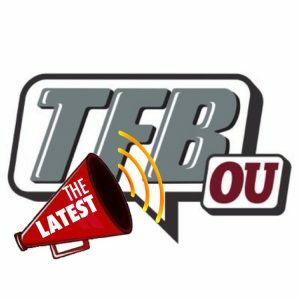 However, running back Trey Sermon (16 carries, 124 yards) gave Oklahoma the lead for good when he scored his second touchdown of the day with 3:29 remaining in the fourth quarter. The Cowboys countered with a 24-yard touchdown pass to Tylan Wallace (10 receptions, 220 yards, 2 TD) with 1:03 left, but they came up empty on the ensuing two-point conversion try and watched as Oklahoma ran out the clock following a failed onside kick. Oklahoma (9-1) will look to avoid an upset next week versus Kansas. The Cowboys, meanwhile, are slated for a showdown with West Virginia.